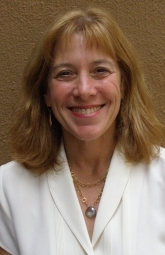 Laurie Kaplan, LCSW, is the Co-Director of the Ackerman Institute’s Social Work and Diversity Program. She is also a senior faculty member at the Institute and teaches in the externship program and the Social Work and Diversity Program. A former professional dancer, Ms. Kaplan completed her graduate studies in social work in 1980 and worked in residential treatment centers, inpatient and outpatient hospital settings and in the public schools while completing her post-graduate externship training at the Ackerman Institute. In 1985, Ms. Kaplan conceived of the idea to provide clinical services to families affected by AIDS and helped form the Ackerman Institute AIDS Project, the first program of its kind in the country. Through her work on the Ackerman Institute AIDS Project, she, together with colleagues Sippio Small and the late Ruth Mohr, focused their attention on the lack of trained professionals of color in the field of family therapy and a desire to create training opportunities for students of color. In 1992, they created the Social Work and Diversity Program at the Institute. The program offers second-year graduate social work students of color a program of rigorous academics, intensive clinical training and knowledge of community organizational skills and program development. It also provides them with the opportunity to continue in post-graduate training, coupled with financial assistance and mentorships. Ms. Kaplan has taught family therapy in many community agencies and hospitals throughout the metropolitan area and has presented nationally and internationally on AIDS, substance abuse and numerous family issues. She published several articles, the most recent of which, entitled “Multi-Racial Recruitment in the Field of Family Therapy: An Innovative Training Program for People of Color,” in the September 2005 issue of Family Process. Ms. Kaplan also worked as a mental health consultant on the PBS documentaries Frontier House and Colonial House. In addition to her work at Ackerman, Ms. Kaplan is a family therapy clinical supervisor at Freedom Institute, which provides clinical services to individuals and families suffering from the effects of chemical addiction. She also maintains a private clinical practice in Manhattan and Dobbs Ferry, where she lives with her husband and two children.